On 30 June, thousands of people gathered in Villepinte, on the outskirts of Paris in an event entitled ‘Free Iran 2018’. Among the speakers were figures such as Donald Trump’s personal lawyer and former mayor of New York, Rudolph Giuliani, whose participation highlighted the important international connections of the event’s organisers, an Iranian dissident group called the Mojahedin-e Khalq (‘fighters of the people’ or MEK as they are known) and its political wing, the National Council of Resistance of Iran (NCRI), both groups are led by Maryam Rajavi, an opposition with decades of struggle behind them. The participation of the New Yorker was not exceptional: in the past, the meetings have had the participation of people like the current US National Security Advisor, John Bolton, Sen. John McCain, the former directors of the CIA James Woolsey and Porter Goss, many British politicians and, as an almost ubiquitous figure, Alejo Vidal-Quadras, former vice-president of the European Parliament with the PP and later a member of Vox. 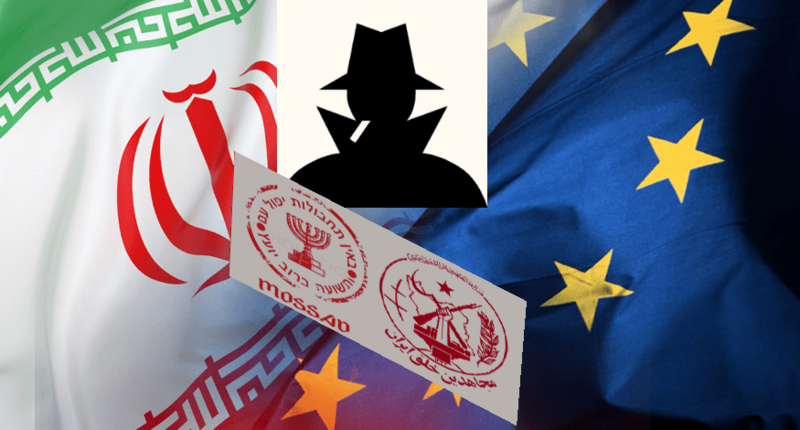 Vidal-Quadras’ relationship with the group goes back a long way: a decade ago, his efforts got the European Union to remove the MEK from its list of terrorist organisations. 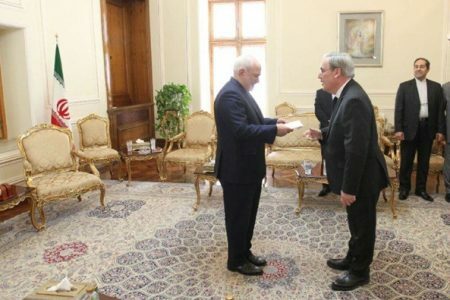 He is also president of the International Committee for Justice, a group of former MEPs dedicated to supporting a segment of the Iranian opposition. And the relationship has been beneficial for both parties: according to the newspaper El País published on Sunday, followers of the NCRI financed 80% of the Vox campaign in the European elections in 2014. Vidal-Quadras himself acknowledges this support: “It’s all right, because that’s what I stated. But about the judgments that are cast, or the assessments made, there is some inaccuracy, as when it is said that it was a Marxist entity from its beginnings”, he tells El Confidencial. 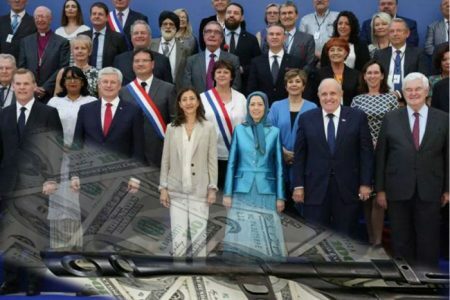 Undoubtedly, the organisation is solvent: by all accounts, the group pays tens of thousands of dollars to the speakers at international events (by some estimates, Bolton would have pocketed about $180,000 for his involvement in MEK events), and It has invested huge amounts in lobbying campaigns in Washington, which has guaranteed it a public visibility that might otherwise have been lacking. Among other reasons, for its controversial profile. 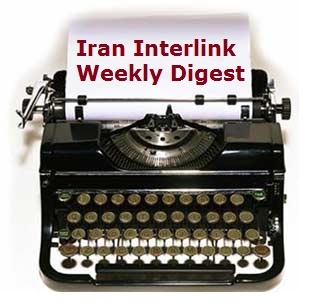 “The Mojahedin began as a radical Islamic guerrilla group that borrowed many of the ideas of Marxism to transform Shiism from a conservative religion into a radical ideology”, explains Ervand Abrahamian, an American historian of Iranian descent and author of a book about the MEK. “Now it has become more of a cult based on personal obedience to Rajavi”, he tells El Confidencial. The MEK represents one of the most surprising chapters in the history of political violence of the last century. The organisation played a prominent role in the Iranian Revolution, staging numerous armed actions against the Shah’s security forces. But after the revolution, friction with Ayatollah Khomeini soon followed – they opposed, for example, the release of hostages from the US embassy in Tehran when ordered by the new revolutionary government – who launched the new repressive apparatus against them. In the resulting phase, thousands of MEK members were killed and tortured, and many others went into exile. They also took revenge: in 1981 they planted a bomb that killed more than 70 senior officials of the regime. The current Iranian supreme leader, Ali Khamenei, lost the use of his right arm as a result of that attack. 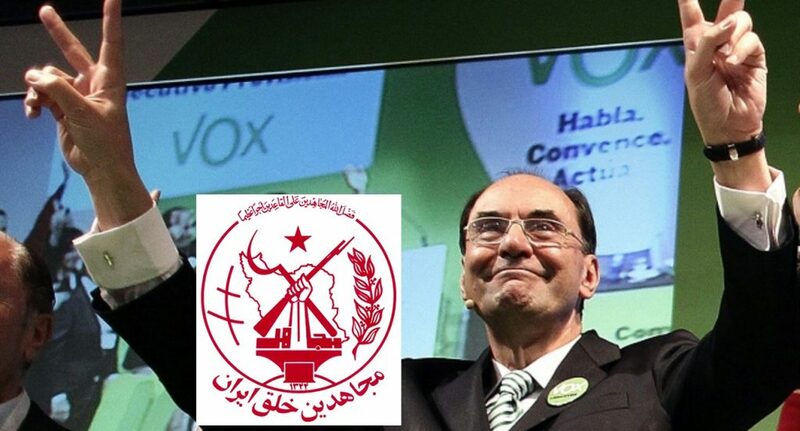 Vidal-Quadras has always insisted that those responsible for these armed activities are not the Iranian dissidents he supports, but an extremist faction called Peykar: “The MEK movement began in the sixties under the Shah, they were a group of students who fought to oppose that dictatorship. The political police, the Savak, arrested the entire leadership of the movement, which was then emerging and small, and while they were in prison there was a dissident faction left on the street, which became radicalised and became Marxist. But the authentic movement, that has never been Marxist at all. Quite the opposite: its 10-point plan [the program published by the organisation in 2006] is a plan that any western democrat could sign: free elections, denuclearisation, etc.”, he says. 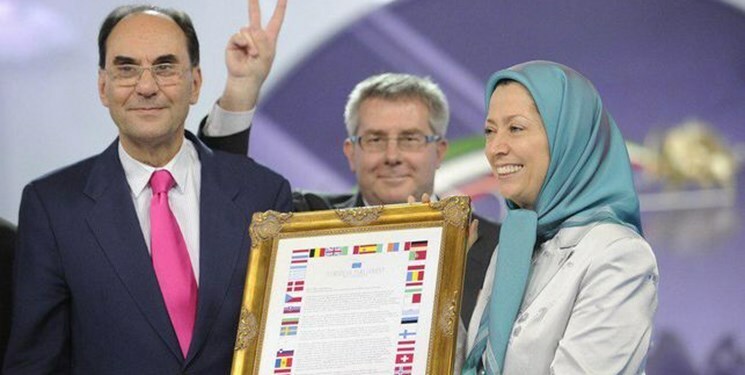 “The NCRI is now a democratic opposition movement to a cruel dictatorship that violates rights in a brutal way every day, considers women as third-class citizens, promotes terrorism internationally and is an element of destabilisation in the world. So, when we talk about an Islamo-Marxist group, a description is created that does not correspond at all with what the NCRI and the MEK are, which are a totally democratic movement”, insists the Spaniard. Be that as it may, among those who managed to escape into exile was a young man named Massoud Rajavi, who established the NCRI in Paris. But in 1986, when Jacques Chirac’s France began a rapprochement with Khomeini’s Iran, Rajavi and his followers moved to Iraq, where they forged an alliance with the worst enemy of the Iranian regime: Saddam Hussein. Something that caused them to lose much of the support they had within their own country. In 1988, after the ceasefire between Baghdad and Tehran, thousands of members of the group launched an operation called Eternal Light, destined to reconquer Iran. The offensive was easily repelled by the Iranian army, which killed around 4,500 of its 7,000 members. In addition, during the following five months, the Khomeini regime summarily executed thousands of political prisoners in their prisons, many of them from the MEK (the NCRI inflates the figure to 30,000), one of the biggest crimes committed by a state in the last decades, but little known of outside specialist circles. 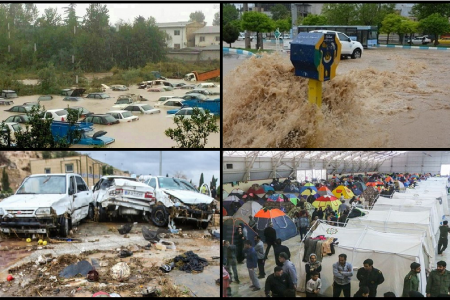 According to the testimonies of some dissidents, from that moment the cultic characteristics of the group were accentuated: Rajavi proclaimed himself ‘Mahdi’ (the chosen or future saviour of humanity in the Shia tradition), and insisted that everything, even defeat, was part of a divine plan. In 1990 he ordered all members of the organisation to divorce and sent their children into exile in Europe, where they would be raised by other militant couples as a way, according to critics, of maintaining control over his followers and avoid dissent. 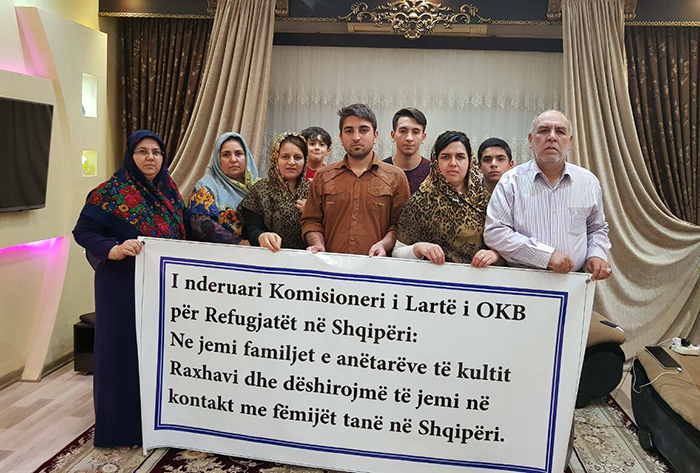 An MEK spokesperson asserts that those divorces occurred completely voluntarily. Massoud married one of these divorcees, Maryam Azodanlu, who took his surname. Vidal-Quadras encourages much of this information to be taken with a pinch of salt, saying that the disinformation on the part of Iran’s government is very strong. 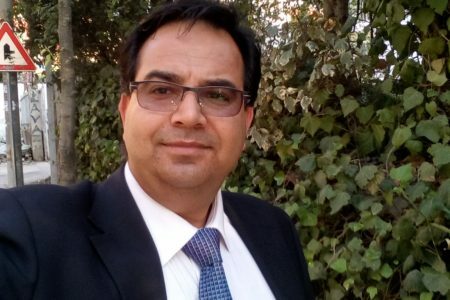 “All this work to discredit the movement naturally comes from the propaganda war that the Iranian regime is doing against its main opposition group”, he says. 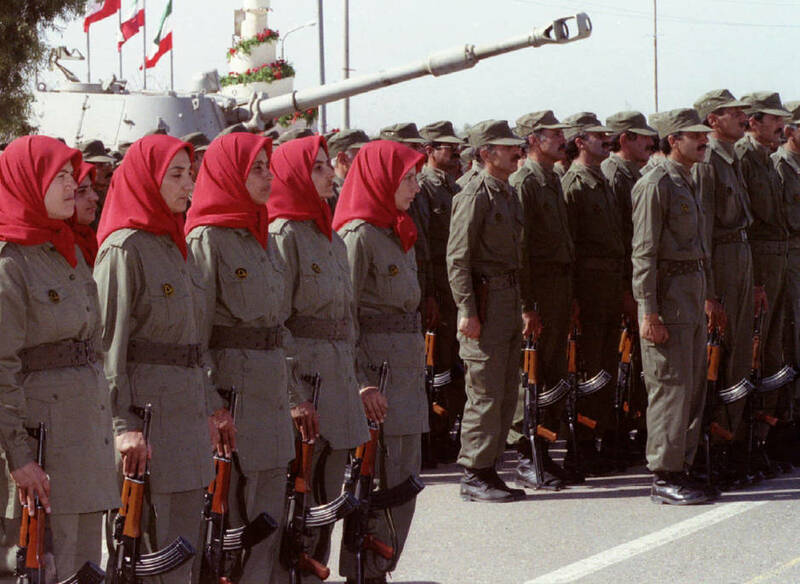 He denies, for example, the veracity of the MEK’s alleged participation in the crushing of the rebellion that had erupted in Kurdistan after the Gulf War in 1991, when, according to some former militants, Maryam Rajavi had harangued them saying: “Take the Kurds under your tanks and save your bullets for the Iranian Revolutionary Guards”. However, some of the negative characteristics described by the critics of the group, such as their status as a cult or sect, have been confirmed by sources such as the RAND corporation – hardly suspected of Iranian infiltration – in a 2009 report. According to the same document, the nineties were an intense time for the MEK: in April 1992, they committed almost simultaneous attacks against Iranian embassies in 13 different countries, including the Iranian delegation to the UN in New York (which makes them the only foreign group that has managed to attack in the USA besides Al Qaeda). This earned them the inclusion, five years later, in the list of terrorist organisations of the US State Department. 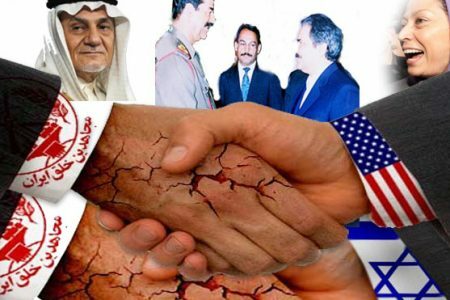 When the Bush Administration insisted before the invasion of Iraq on Saddam Hussein’s connections with terrorism he referred, among others, to the MEK. Between 2000 and 2001, the group carried out 350 attacks in different parts of the world, according to a report from the State Department. 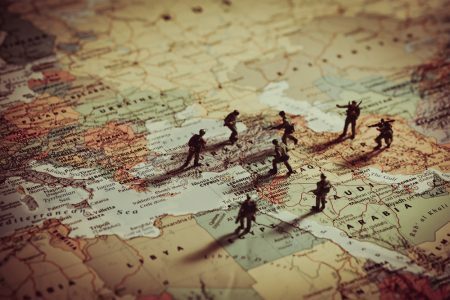 When US forces entered Iraq in 2003, after a series of initial skirmishes, the MEK were willing to remain neutral toward the occupiers, allowing their 3,800 members to remain at their base, Camp Ashraf, some 100 kilometres away north of Baghdad. 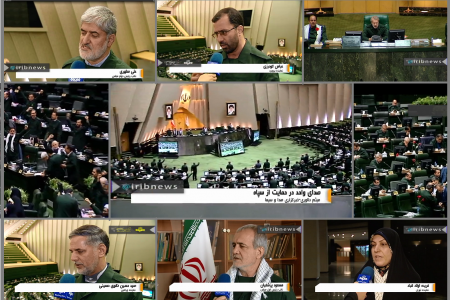 The group also officially renounced violence and modified its political program, now focused on the pursuit of democracy and the defence of human rights in Iran. 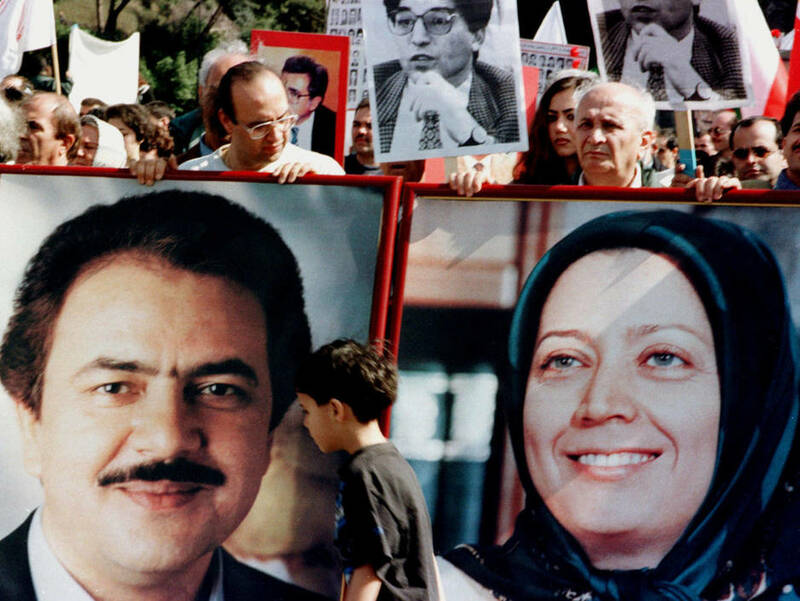 At that time, Massoud Rajavi disappeared – without even knowing what became of him today – and his wife, Maryam, took over. But that did not relax the iron grip on the group’s members: a devastating Human Rights Watch report in 2005, prepared through interviews with several dissidents, recounts many of the tortures and abuses exercised on its members. Neither, according to some sources, did participation in armed operations. According to two intelligence officials during the Obama Administration interviewed by NBC, between 2007 and 2012 Israel used members of the MEK to kill half a dozen Iranian nuclear scientists, which increased their apparent value to supporters of regime change against Iran, both Israeli and American. 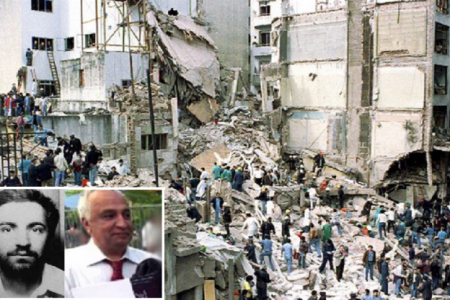 This was helped by the discovery of the secret Iranian nuclear program, carried out in part with information provided by the MEK network in the interior of the country. Is this the same group that Vidal-Quadras and other international politicians support? Many experts believe that it is. 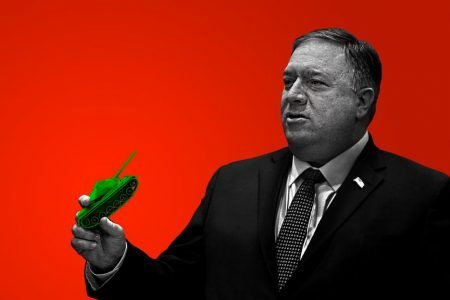 “US officials, including National Security Adviser [Bolton], can have no illusions about the MEK’s propaganda lies about pursuing democracy or enjoying support within Iran. They know very well how despised the MEK are in that country. 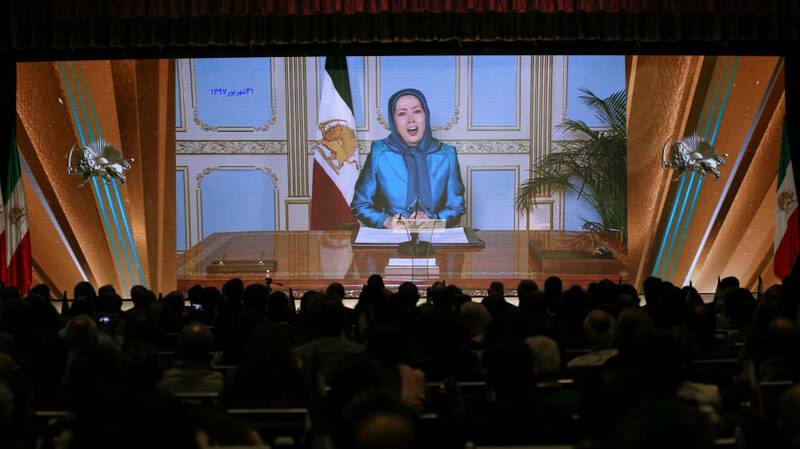 Unlike other Iranian opposition groups, however, the MEK can organise military operations”, writes Trita Parsi, President of the National Iranian American Council, the leading Iranian organisation in the United States. “Its members have experience in sabotage, assassinations and terrorism, as well as in guerrilla and conventional warfare. These are not qualities that lead one towards any democratisation project, but they are extremely useful if the strategic objective is to provoke regime change (through an invasion) or a collapse (through destabilisation)”, says Parsi. These capabilities guaranteed very powerful friends on both sides of the Atlantic. 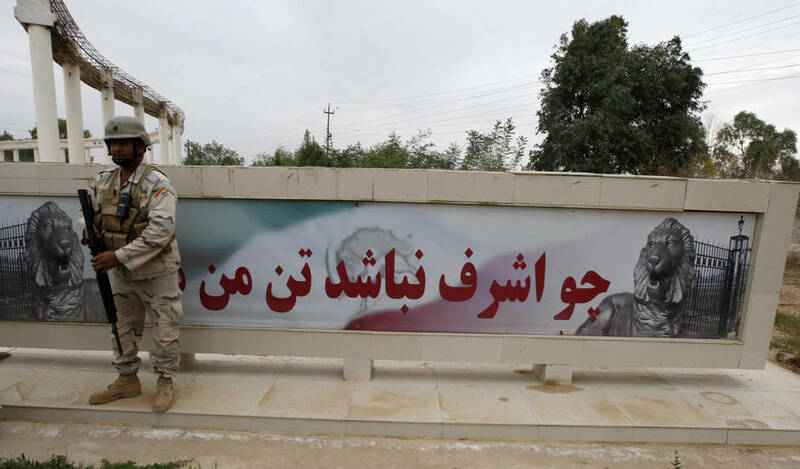 But meanwhile, its members, entrenched in Camp Ashraf and later in another base called Camp Liberty, were the object of hostility by the Iraqi government of the Shiite Nuri al Maliki, an ally of Iran. Iraqi security forces attacked the camps on at least two occasions, causing more than a hundred deaths and hundreds of injuries. This led the Obama Administration to remove them from the list of terrorist organisations in 2012 (the EU had already done it three years before), in order to get the militants out of Iraq and take them to a country that accepted them. The only one which did was Albania. There, some 2,300 members of the group remain confined in a well-guarded base, without access to the media. Hundreds of them have defected. 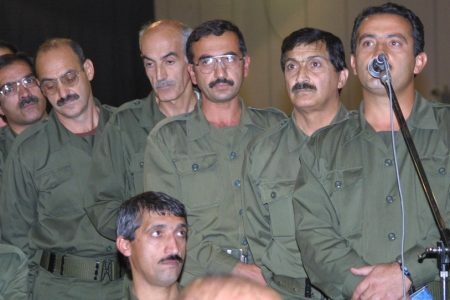 According to Massoud Khodabandeh, a former member of the group who now helps those who want to leave, the MEK continues the practices of control and torture in the camp, which he describes as “political slavery”. “Look, I’ve been collaborating with the Iranian resistance in exile for 18 years. I know them perfectly, I have personal friendships with many of them and of course with Mrs. Rajavi”, says Vidal-Quadras. “I have spoken with hundreds of members of the NCRI, I have visited their current camp in Albania and the one they had in Iraq in 2009, I have spoken with all of them with total freedom in the field, and I can assure you that they are absolutely committed people, that they are there voluntarily, that nobody forces them to do anything and that they have a tremendous vocation to free their country from that dictatorship”, says the Spanish politician. “The history of this movement is a story of suffering and persecution, with tens of thousands of victims. For example, the two sisters of Mrs. Rajavi were executed, one of them while pregnant. So, it cannot be denied they have an amazing capacity for sacrifice and tenacity”, he reiterates. Vidal-Quadras insists on the international support of the group, which in 2009, he says, received the support of more than 4,000 active parliamentarians around the world, and whose events, in addition to the names already mentioned, are attended by people like Ingrid Betancourt or Pat Kennedy “It is an absolutely recognised and democratic movement, which has the support of thousands of active politicians in the US and Europe, in Canada, in Arab countries or Australia,” he stresses. But some of this support is controversial, as is the case with Saudi Arabia. “For years, the cult was funded by Saddam Hussein. Now the Saudis finance it”, says Abrahamian. Although neither Riyadh nor the NCRI admit it, the assistance of former Saudi intelligence chief Prince Turki al Faisal at the 2017 event seemed to confirm the suspicions of the experts. 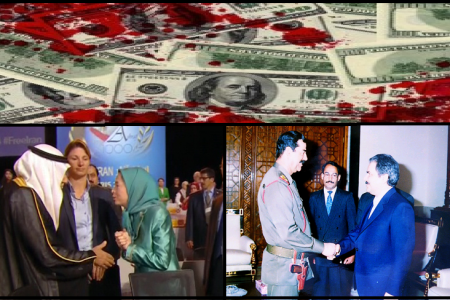 “Rajavi was killed when the US invaded Iraq, but the organisation prefers not to admit it. The Saudi representative at the annual meeting last year officially revealed it for the first time. That a Saudi did it is enormously significant”, says this specialist. Confined to Albania, the group seemed relegated to almost total irrelevance … until Bolton gained access to the White House. Now, many hawks in Washington seem to have placed their hope in the NCRI to lead a future transition in Iran. Something that, according to most experts, they really are not in a position to do. “In my years as a correspondent for the ‘Washington Post’ in Tehran, I never met anyone who had a positive opinion of the MEK”, says journalist Jason Rezaian. “The organisation has no future in Iran since they worked closely with Saddam Hussein during the eight-year war. The ‘neocons’ in the Trump Administration are using the MEK as they did with [Ahmed] Chalabi and [Kanan] Makiya during the Iraqi invasion”, says Abrahamian, referring to the Iraqi dissidents who assured the Bush Administration, literally, that their troops would be greeted with flowers in Baghdad. The MEK may not have great support inside Iran, but they have many powerful friends out there. 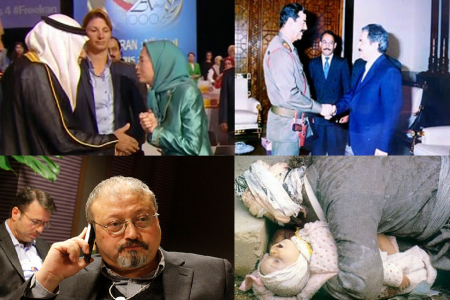 Intimate interviews with three women former members of the Mojahedin Khalq who courageously talk about sexual abuse by the leaders, Massoud and Maryam Rajavi. Everyone who has ever heard of the MEK should watch these shocking revelations. 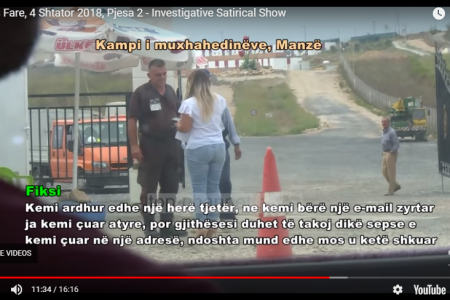 2018/11/16 Why is this Iranian regime change cult ( Mojahedin-e Khalq) building a base … in Albania?